Perfect with tomato, red pepper and garlic sauces. The factory Sorrentino has obtained the P.G.I. 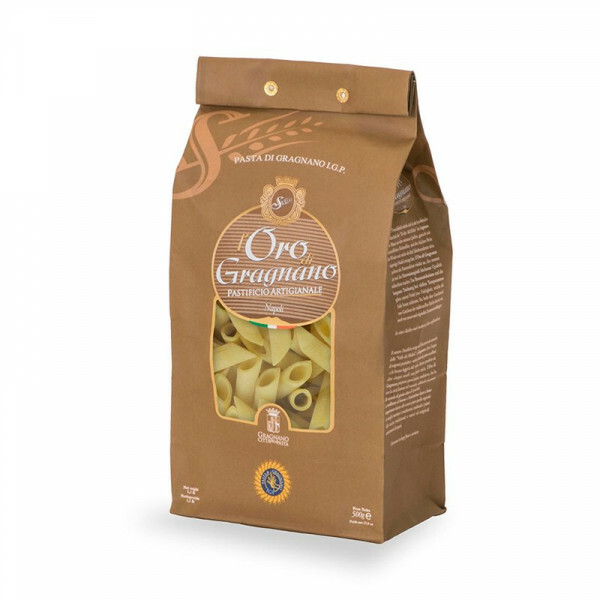 The PGI is a trademark of quality attributed in Italy to food and agricultural products. If a product is worth the PGI certification, it means that its quality and its uniqueness depend on its geographical origin, the very place of its production. The certification PGI of Pastificio Sorrentino testifies the tradition of Gragnano production. Production takes place in the town of Gragnano and meets strict criteria. Durum wheat semolina, water. GLUTEN.